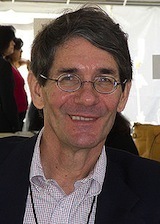 Michael Dirda is a Pulitzer Prize-winning literary critic for The Washington Post and a frequent contributor to several literary and cultural periodicals. He is also the author of the memoir An Open Book (Norton, 2003) and of four collections of essays: Readings (Norton, 2003), Bound to Please (Norton, 2004), Book by Book (Holt, 2007), and Classics for Pleasure (Mariner, 2008). His latest book, On Conan Doyle (Princeton, 2011), received an Edgar Award from The Mystery Writers of America as the best biographical/critical work of 2011. The Big Read: Can a Single Book Sum Up a Nation? As soon becomes apparent, The Dream of the Great American Novel simply isn’t aimed at the common reader or even at many uncommon ones. The grateful audience for this book will be other scholars and teachers of American literature, who will plunder its pages for decades to come. Before he died at the age of forty, London was the highest-​paid author in America. During an active literary life of less than two decades, he produced roughly fifty works of fiction, journalism, and autobiography, as well as scores of short stories.